You are currently browsing the tag archive for the ‘Orphanage in Thailand’ tag. As architects we often find ourselves trapped in a world where the dollar sign rules everything we do and because of that we find ourselves designing only for people that can afford an architect. It is particularly promising therefore, to find an architecture firm who’s main mission is to help those in true dire need. For this reason, I found much inspiration in the work of TYIN tegnestue Architects, a Norwegian firm run by two students, Andreas G. Gjertsen and Yashar Hanstad. TYIN has been working primarily in poor and underdeveloped areas of countries like Thailand, Burma, Haiti, and Uganda. Their strategy is to work with the local communities to build structures that fulfill a need within that community while promoting the development of skills, and utilizing local materials collected from the site or nearby areas. Among their many projects, they have created a series of structures for orphanages in Thailand. 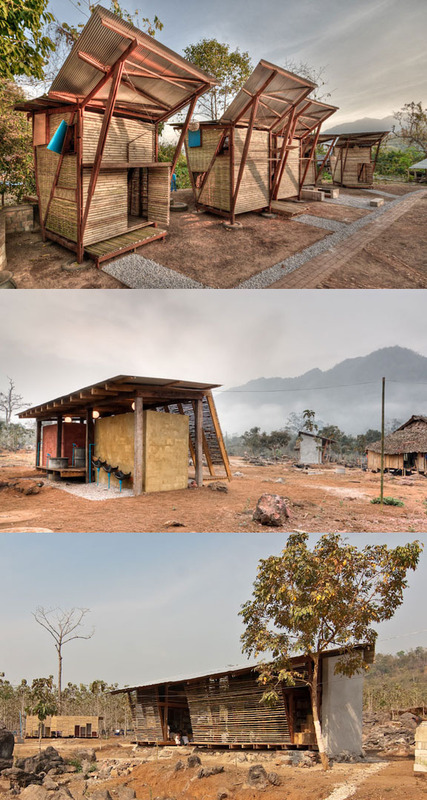 The Soe Ker Tie House project is a series of small shelters used as dormitories for an orphanage in Noh Bo. The small shelters basically house one sleeping unit, which is shared by the children and are clustered in an manner that creates shared outdoor spaces promoting a sense of community within the orphanage. TYIN has also worked for another orphanage located north of Noh Bo. They have worked with the owner of the Safe Haven Orphanage to create a bath house and a library for the children. Utilizing local materials and innovative methods to address waste, TYIN has created a bathing facility that brings hygiene to the forefront as a means to fight disease and a library that helps to reinforce the importance of education and good ethics. In my search for ways in which design can make a difference in people’s lives, the work of TYIN serves as a reminder that design should be for everyone. As designers, we have a talent that can be used for good and we should all reach out and make a difference in the world.